Let us analyze what is the value of a mobile app design, its existence in a mobile world and the value of design itself, what its tasks are. We shall start with the idea that a mobile app is not the same thing as a product, though they are often linked together. It is important to understand that the product is a set of various mechanisms and the application is just a facade. In the other words, an application is a point that a user will start with and then use many services. For instance, we have got a taxi service. 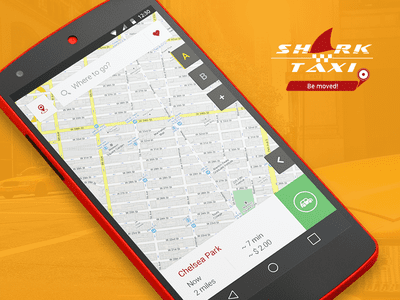 A user knows that they take a phone, with some gestures calls a cab and have a lift to their destination. A user does not need to think about everything that stands behind this app – dispatcher's board, algorithms to calculate the ordering time and other things. Anyway, a user perceives it just as an app; that's why when we say it does not work properly, it is worth clarifying the value of the app and what it is developed for. Mobile app design is not only images, mobile apps design consists at least of two basic things – user experience and user interface (UI/UX). First of all, when the interaction between a user and service is planned, it is necessary to know how much and what data should appear, in what way the navigation inside an app will be organized. It is a big block that is called user experience (the experience user gets from a product). User interface is something visual, and without a doubt they are closely connected. Normally user interface is called design. So when you hear that your design is beautiful, or not so good, it is likely meant its images are not so good; and you have to understand that design is a combination of two huge parts. While working on mobile app design it is important to follow the process step-by-step, and these steps are analysis, project design and “coloring”. Analysis is the very first stage, when you receive some initial data, which might be collected or received from a customer, and you have to create a workflow, define the target audience and what are the main tasks should be solved in the application itself. When you start planning, you have to clarify the team possibilities in order not to create a spacecraft that would not be able to get off because no one can put it together. Also you have to know if this will be a single application or it is supposed to have several next versions. The next step is obviously the “coloring” - this is easy and well-known stage. 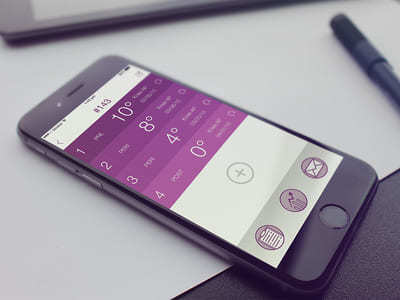 In our article we have clarified what is mobile app design and now we see it is not only its visual part, and the way the workflow should be planned and in what stages it should be divided in order to gain high-quality mobile design. Today more and more people go online via mobile gadgets. Give them the opportunity to buy on your site by providing your site with correct display on any kind of device.